MoviePass has a new plan. Again. MoviePass is changing things up yet again. On Monday, the struggling movie subscription service announced that it will soon limit the number of movies that its users can see each month. It's the latest overhaul for a company that is burning through cash and trying to stay in business. It's hard to keep up. What are the latest changes to MoviePass? MoviePass subscribers will be allowed to see three movies per month in the theater. The previous plan allowed subscribers to see one per day. When does this take effect? August 15. If you already have a subscription, either monthly or annual, the changes will take effect for you when your plan comes up for renewal. I thought MoviePass said it was going to increase the cost to $15 per month. The company did say that last week, but it's now backing away from the idea after people complained. The service will also once again include "many major studio first-run films." That's another reversal from last week, when MoviePass said it would restrict access to blockbusters during the first two weeks of release. What about surge pricing? Ticket verification? The company is suspending both of those. Why is MoviePass making all these changes? It is trying to stay afloat. MoviePass executives said Monday that about 15% of their customers are "stressing the system" — meaning the company is spending a lot of money paying for the large number of movies those people are seeing every month. How much cash are we talking about? A few months ago, government filings revealed that the company was burning through an average of $21.7 million every month. That increased to $40 million in May, which the company has said was probably because it was a popular month at the box office. How has all of this affected the company? Investors aren't happy. Stock in parent company Helios and Matheson (HMNY) has fallen from $39 last October to 7 cents at market close last Friday. It was trading at about 8 cents Monday afternoon. It's actually worse than that. The company recently approved a reverse split, a cosmetic change that boosted the stock 250-fold, back up to $21. It has lost 99% of its value since that split. Will MoviePass be around much longer? It's an open question. The company has dismissed predictions of its downfall as "greatly exaggerated." And it is certainly trying to find a way to become sustainable, if you look how much it is tinkering with its formula. 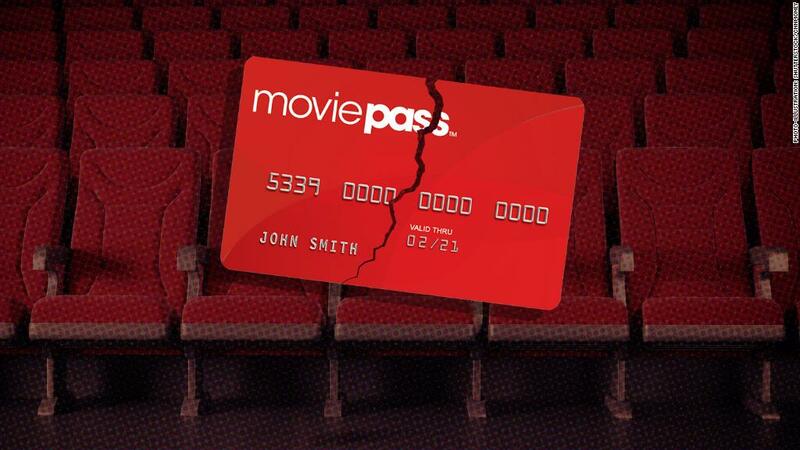 In an interview Monday morning with The Wall Street Journal, MoviePass CEO Mitch Lowe acknowledged that the company has been "whipsawing people back and forth." But he added: "I think we've got it now."